Email Archiving has become a critical activity in most large and many small enterprises. It involves preservation of email in a searchable format. There are many different solutions for email archiving and they all involve the capture of email as it is in passage between the sender and receiver.. The process involves indexing the individual messages before they are stored in order to make them accessible to search algorithms which are available at a corporate level to individuals other than the users of the email. Email archiving also preserves attachments, PST files, calendars, and associated metadata. The primary motivations for email archiving are the preservation of critical data, for regulatory compliance and corporate retention and deletion policies, and for e-discovery. In the UK email archiving must conform to the legal compliance requirements of a number of acts. These include a number of standards set by the British Standards Institution which involve the legal admissibility and retention of information that is stored for long periods of time, the 1998 Data Protection Act and the 2000 Freedom of Information Act. For the purposes of e-discovery, email archiving reduces the risk of loss or spoliation of information along with speeding up the process considerably. As well as indexing the messages, audit trails are created and messages are compressed using de-duplication so that redundant data is eliminated; single instance storage reduces storage requirements and speeds up search. The overall result is that the authenticity of the email can be demonstrated. Retention policies determine how long email is to be retained, after which is it is automatically deleted, although this can be overridden by a legal hold. 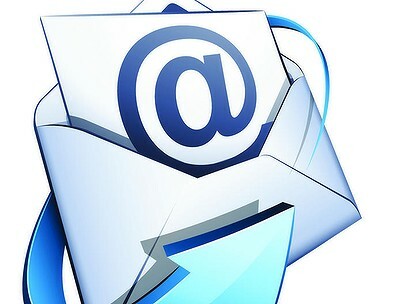 Email is vital to most of today’s enterprises and very high volumes of it flow through their various systems. One of the most common solutions is Microsoft Exchange email archiving, which is often the most important application managed by IT departments. However as the volumes of email grow it is becoming apparent to many enterprises that the task is too important and too large to be handled internally. The alternative is to use a third party cloud organisation, and many enterprises are using specialist cloud providers to manage their email archiving as a cost effective and secure solution. There are a number of barriers to outsourcing email archiving and management, and one of the most important ones is a concern over the security of doing so, however most organisations who outsource do perform due diligence in this respect and achieve satisfaction. The other important concern is the complexity of migrating email from in house to an external organisation. Today the global market for email archiving is around $5 billion, almost double what it was just four years ago, and it is continuing to grow at pace. mX Great Britain Guide App Review For iOS, Android & Nokia Devices! MultCloud Manages All of Your Cloud Storage Services in One Place!